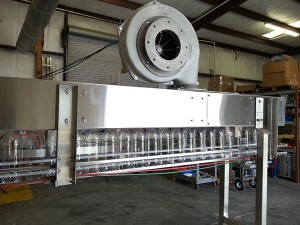 Empty Bottle Air Conveyors | Automated Conveyor Company, Inc.
ACCI has its own design for Empty Bottle Air Conveyor. Multiple bottle sizes with auto adjust rails is a standard. 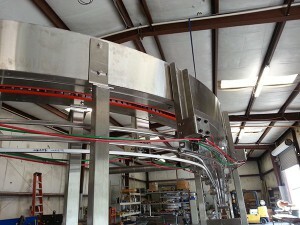 We beat all major suppliers lead time with a superior design. Energy efficiency is paramount on the ACCI Model EBAC.